We have a large selection of clipart suitable for most events. Just let us know what you need and we can fax or email a sample for your approval. Stock Ribbons: Same Day Shipping if ordered by 10 a.m. CST. 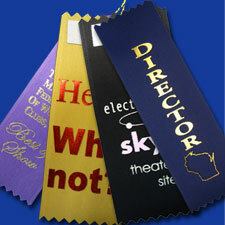 Stock Ribbons will ship the next business day if ordered after 10 a.m. CST. 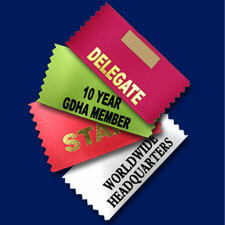 Personalized Ribbon: Orders are shipped approximately 7 - 10 days after receipt of order and proof approval. Shipping times vary by location and shipping method used. Colors may vary slightly from what is shown here. Double Back Tape (front or back) - add 5 cents ea. Other charges may apply. Please email or call for exact price quotes for personalized ribbons. Because of the huge volume of award ribbons we do we can offer you the best prices on the web for wholesale customized ribbons. There are no hidden fees. 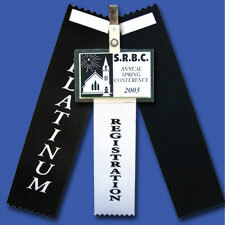 You pay the shipping charge of $9.95 per place ribbon order under $200.00. We offer free shipping on all orders shipped in the lower 48 states over $200.00. We have a minimum order requirement of 300 place ribbons for custom place ribbon orders, plus a $10.00 set-up charge on all orders below 1000 place ribbons. 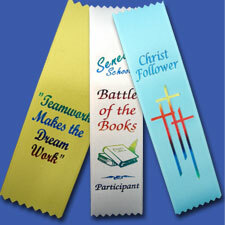 AAA Award gives you the widest selection and best prices on customized wholesale academic and sports award ribbons. With many different custom options, sizes and designs available, you can select ribbons for any occasion. 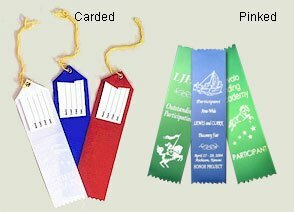 Ribbons are a highly affordable yet respectable way to show event participants, employees, students, contestants and others that you recognize their support and their achievements. AAA Award gives you the most affordable Personalized ribbon pricing on the web, with no hidden fees or extras, so you can plan your event and your awards accordingly. For orders over $200 delivered to the continental U.S. we provide free shipping and all orders under $200 require a flat shipping fee of $9.95. 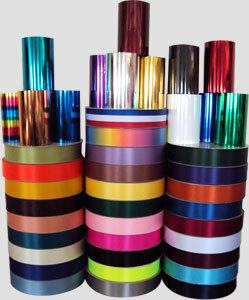 For customized ribbons, a minimum order of 300 is required and a set-up fee of $10 is required for any order less than 1000 ribbons. 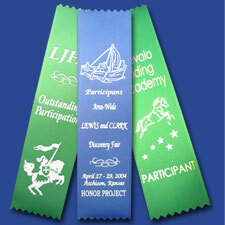 We also have a wide range of standard ribbons with a variety of designs that you can use for participation awards, place awards, ribbons for registrants and honored guests, and many more. You can provide ribbons to guests or speakers at an event, participants in school, 4-H, church or academic events and many more. Along with text and fonts, you can also choose pictures or logos to add to your ribbons. See the pricing chart to get a quote for your order and place your order online by selecting text, pictures, colors and more for your Personalized ribbons. 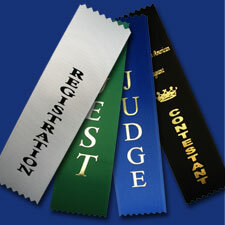 Compare our prices on Wholesale Personalized Ribbons / Custom Award Ribbons! Order Wholesale Ribbons Online Below. CVV Code/Number 3 or 4 digit code generally located on the back of the card.